This is chili seasons, I mean football aside, the weather is almost custom made for these hearty one-dish creations. This dish really used to be called a stew in my household, until it was re-named pink chili. It really is not pink, but then again it is not dark red either. I had made it when one of my son’s friends had visited. A few days later, I had gotten a call from his mother asking me for the recipe. She said, the kid liked the pink chili that I had made. It actually took me some time to figure out what he was looking for. I wonder what really makes a chili? I mean this recipe has beans, yes, white cannellini beans, chili, some cumin, meat (although not ground), loads of fresh herbs, including this weeks featured herb – oregano! So, I guess it works. It works well with all the traditional chili fixings. So, if you are looking for something different, with a lighter touch but just as satisfying you will like this recipe. Either way, chili or stew, my kids love it so it features quite often in our house. I make this in a pressure cooker, but a stove top or slow cooker will do, it just has to cook a little longer. 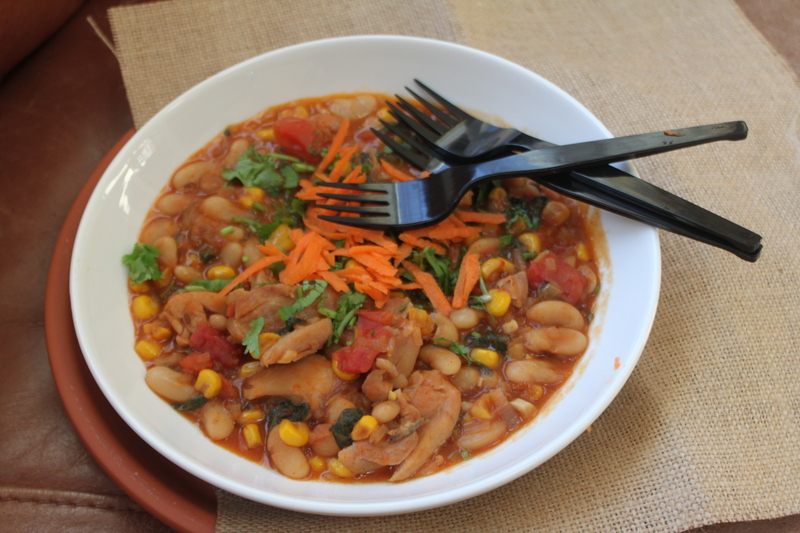 Of course, you can use canned beans too! Just try not to, the made from scratch variety just tastes so much better! 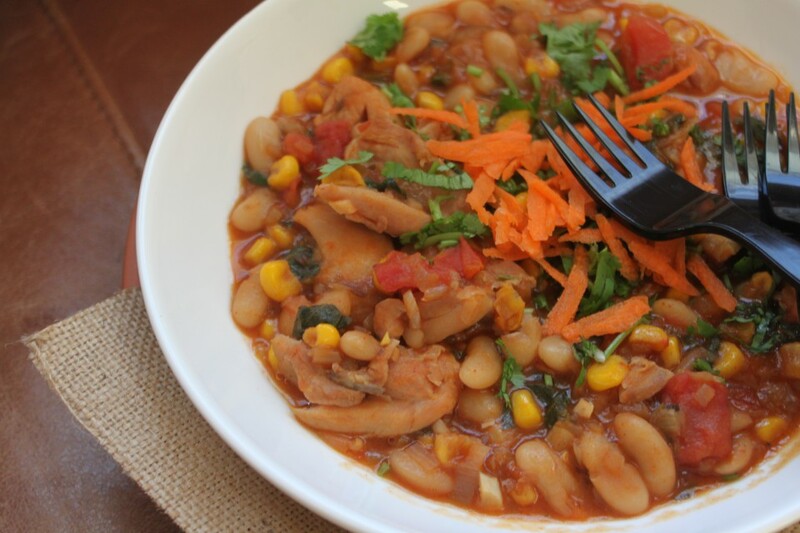 A hearty and fragrant take on chili with chicken and white beans loaded with spices and herbs. 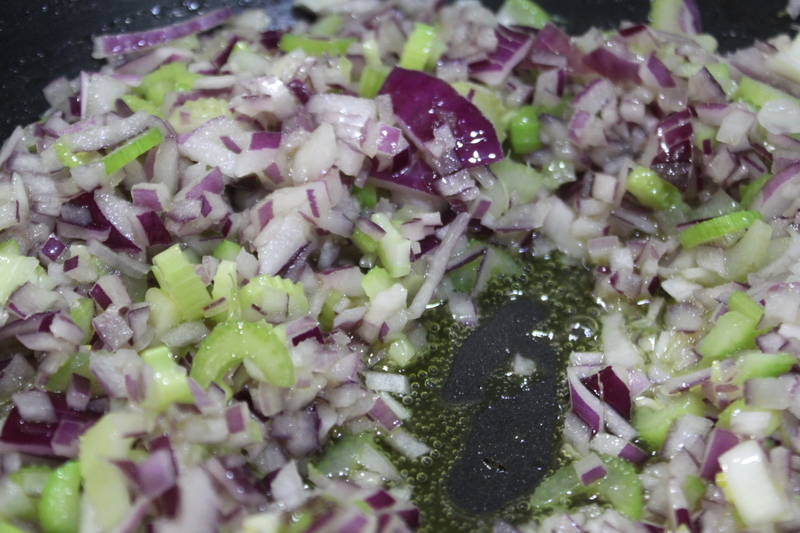 Heat the olive oil and add in the chopped celery and the onions and sauté lightly for about 4 to 6 minutes. Add in the ground cumin and the red cayenne pepper and stir well. Add in the chopped peppers and mix well and cook for another two minutes stirring frequently. Add in the chicken and sauté well for 4 minutes. Add in the tomatoes, beans, water or chicken broth, salt and the corn and mix well. At this point if desired the mixture can be transferred to a slow cooker and slow cooked for 3 hours or cover and simmer on the stove top for 11/2 hours, checking in and stirring occasionally. When the beans are tender and the sauce is fairly thick, add in the thyme and oregano and simmer for 10 minutes. Add in the cilantro and stir in the carrots. Serve with fixings of your choice and enjoy!